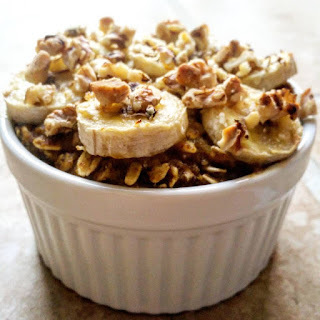 Baked oatmeal is the perfect way to start the day. And you’ll find no shortage of baked oatmeal recipes here on Fruit So Hard! It’s one of my favorite things, so I’m always trying a new recipe or flavor. And then posting it right here so you guys, my favorite people, can try them! This is a game-changer for me. I used to LOVE English muffins, but avoiding the processed stuff available at the store is important to me. Doesn’t mean I won’t splurge on some Dave’s Killer bagels every now and then (not GF – sorry! ), but when a girl wants an English muffin, she needs something simpler…. 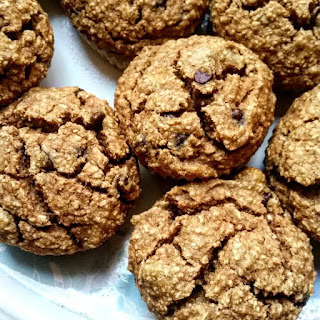 I baked these cookies up yesterday and really enjoyed them. So I had to share as soon as possible. Feel free to add mix-ins such as chocolate chips, raisins, cranberries, chopped nuts, etc. If you have an aversion or an allergy to almonds, try a different nut butter or a seed butter such as sunflower….